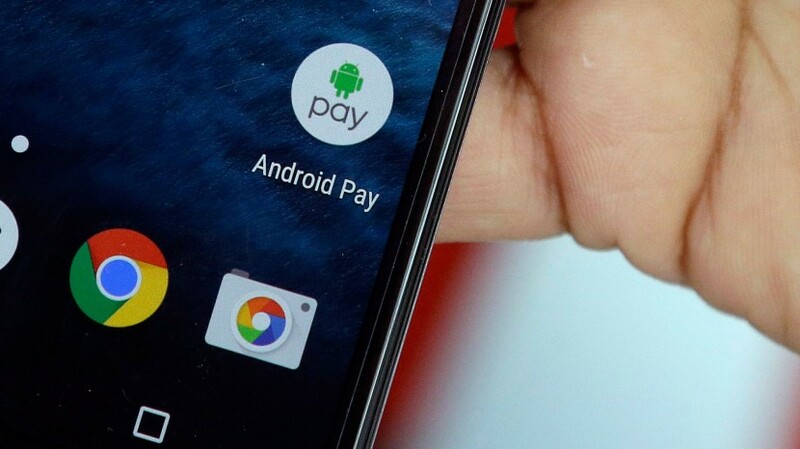 As we’ve stated in how to add a credit or debit card to Android Pay, NFC or Near-Field Communication must be activated in order to take advantage of Google’s mobile payment service. 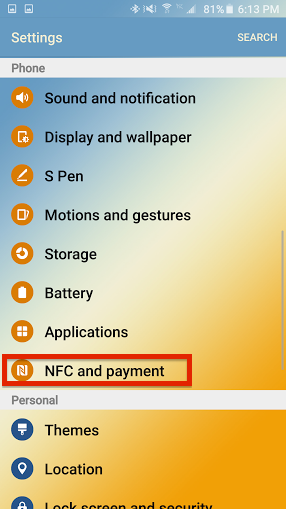 At some point, however, you are likely wondering, “what do I need to do to enable NFC on my Android smartphone?” Follow the steps below to learn how to enable NFC on your Android smartphone. The first step required to know how to enable NFC on your Android smartphone is to visit your device settings. 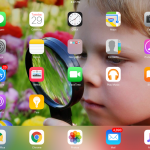 You can find your settings by way of visiting the settings app or by selecting the “wheel” icon in your drop-down notification window on most Android devices. Google Nexus smartphones and Samsung Galaxy smartphones allow you quick access to settings. Once you are in your device settings, scroll down the Phone Settings until you find the “NFC and payment” section. Select it. 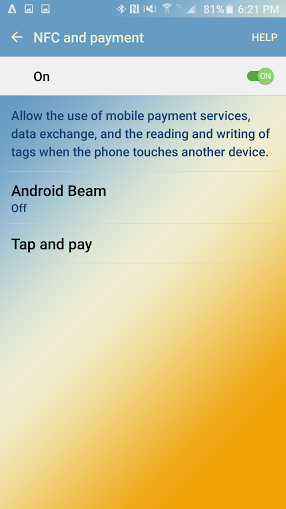 Next, to learn how to enable NFC on your Android smartphone, you’ll need to turn NFC on. If it is off, simply tap the button, and you will see the green button light up to show that NFC is enabled. 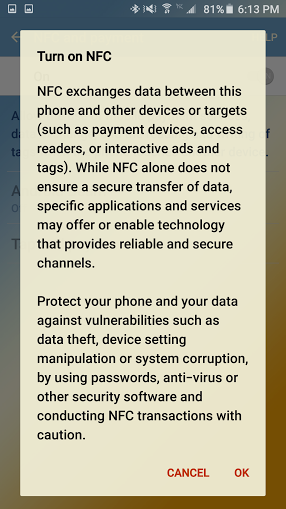 You may receive a word of caution about NFC and how to keep your data secure. Select “ok,” and proceed. 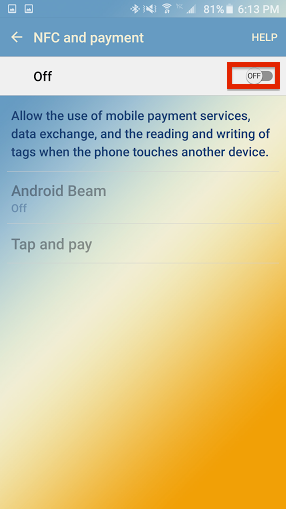 Finally, how to enable NFC on your Android smartphone will bring you to a page where you can choose between Android Beam and Tap and Pay. 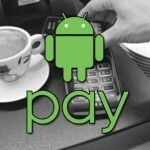 “Tap and Pay” is the Android Pay option, so select it. 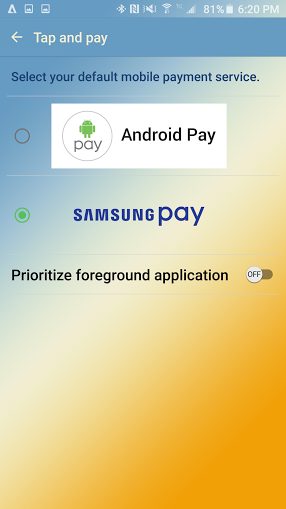 If you have a Samsung Galaxy S6, S6 edge, S6 edge+, or Galaxy Note 5, you can choose Android Pay as your default mobile payment service over Samsung Pay if Samsung does not yet support your bank.